The Eric Trump Foundation apparently paid President Donald Trump's businesses $1.2 million between 2007 and 2015 for expenses related to the foundation's annual charity event at the Trump National Golf Club in Westchester County, New York, according to a new Forbes report. 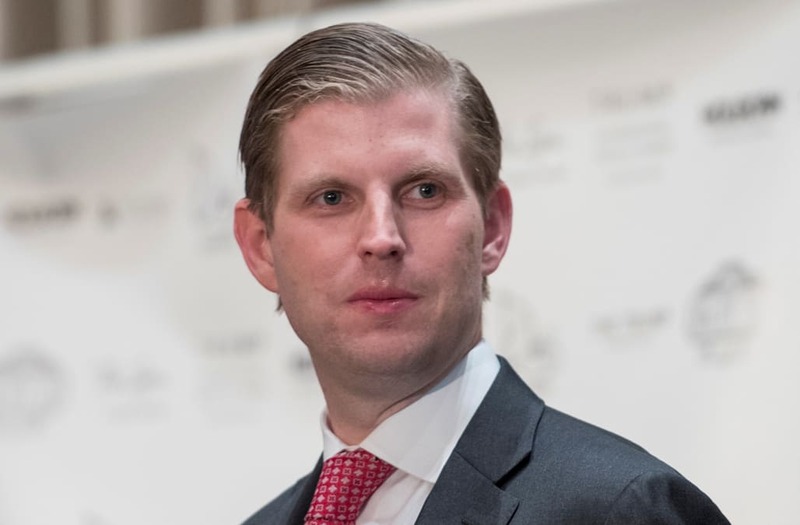 Eric Trump told Forbes that the Trump Organization, which he now runs with his older brother, allowed his non-profit foundation to use the golf course for free and covered most expenses for the golf tournament. But IRS filings apparently indicate otherwise. According to Forbes' research, the Trump National Golf Club charged the Eric Trump Foundation tens — and later hundreds — of thousands of dollars each year for the one-day event, while donors were led to believe that a much bigger chunk of their money would go directly to the fundraiser's chosen cause, children's cancer research. According to sources involved in the event, while the Trump Organization initially covered the expenses, it was Donald Trump himself who ordered his for-profit organization to begin charging his son's foundation for the event. "Mr. Trump had a cow. He flipped. He was like, 'We're donating all of this stuff, and there's no paper trail? No credit?' And he went nuts. He said, 'I don't care if it's my son or not — everybody gets billed,'" Ian Gillule, the former membership and marketing director at Trump National Westchester, told Forbes. And the amount that the Trump Organization charged the foundation for the event skyrocketed in recent years, far exceeding standard costs for similar events, according to golf charity experts Forbes interviewed. Eric Trump has raised $11 million for St. Jude Children's Research Hospital through his foundation, most of which came from the annual golf tournament, and another $5 million in conjunction with other organizations. The first four yearly tournaments cost about $50,000 each. But in 2011, the costs jumped from $46,000 to $142,000. After dropping back down to $59,000 in 2012, the costs again rose to $230,000 in 2013, $242,000 in 2014, and $322,000 in 2015. More than $500,000 of the money raised by the Eric Trump Foundation was actually re-donated to other charities, including four groups that later paid to host golf tournaments at Trump properties. In one instance, the Donald J. Trump Foundation donated $100,000 to the Eric Trump Foundation, money that was then redirected to Trump's businesses to pay for the golf tournament costs. According to golf tournament experts and former employees at Trump's golf club, there is no way to explain how costs could have amounted to $322,000. By 2010, nine of the 17 board members of the Eric Trump Foundation were employees of, or had a financial stake in, the Trump Organization. "The foundation had become a de facto subsidiary of the Trump Organization," Forbes wrote. If the reports are accurate, this activity violates federal and state law.